High School Musical is a 2006 American teen/romantic comedy musical television film and the first installment in the High School Musical trilogy. The film tells the story about two high school juniors from rival cliques trying out for the lead parts in their high school musical. 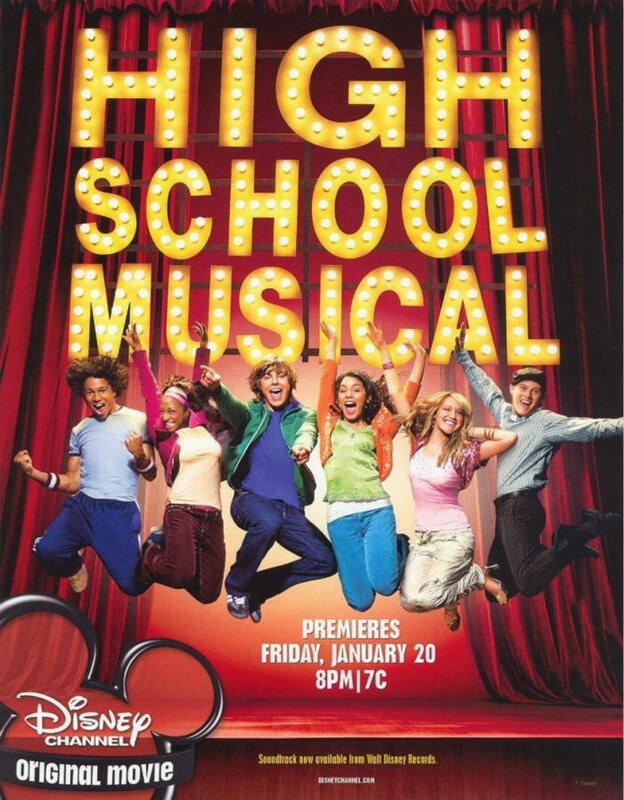 The font used for the film title in the poster appears to be Helvetica Neue Black, with “SCHOOL MUSICAL” manually condensed. You can preview and purchase the font at Myfonts.com. In addition to High School Musical, Helvetica typeface is also used in the following logos, movie posters or album covers etc., including: NSYNC Logo, Sideways, Phillips 66 Logo, True Lies, American Apparel, Vetements Logo, Lufthansa, The Vampire Diaries, Planet Earth, Parental Guidance, How to Be Single, Armin van Buuren, Bad Company, First Take, Mattel.